Butterfield, Rudie & Seitz Architects, Inc. 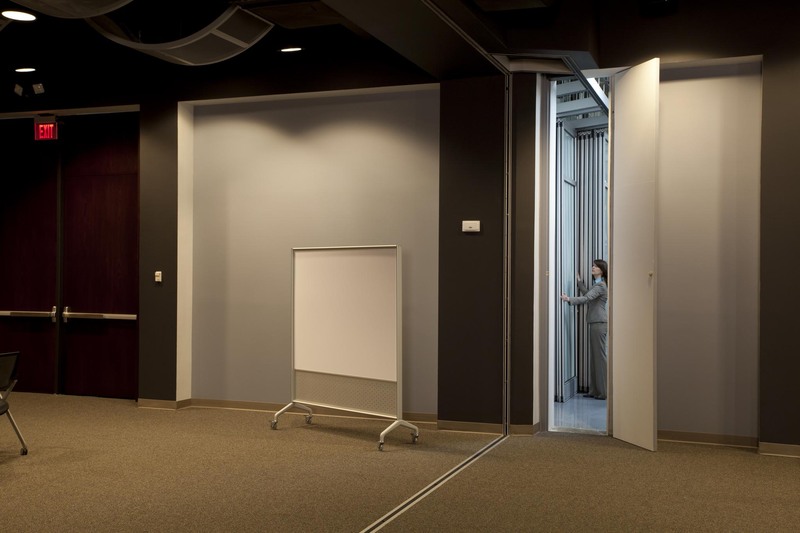 The Kenosha, Wisconsin-based Snap-on tool-and-equipment company, the leading U.S. maker of high-end tools for professional users, was in need of a wall solution for their “Innovation Works” facility. 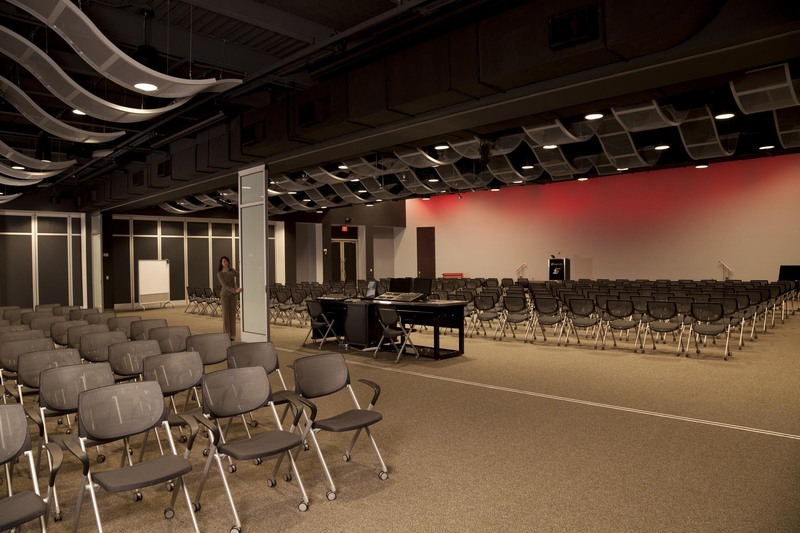 Designed to provide Snap-on associates and customers with critical resources and training, the 15,000-square-foot centerpiece facility — which features a service garage, prototyping room, a parking bay and customer observation area — called for flexible use of space and acoustical privacy. 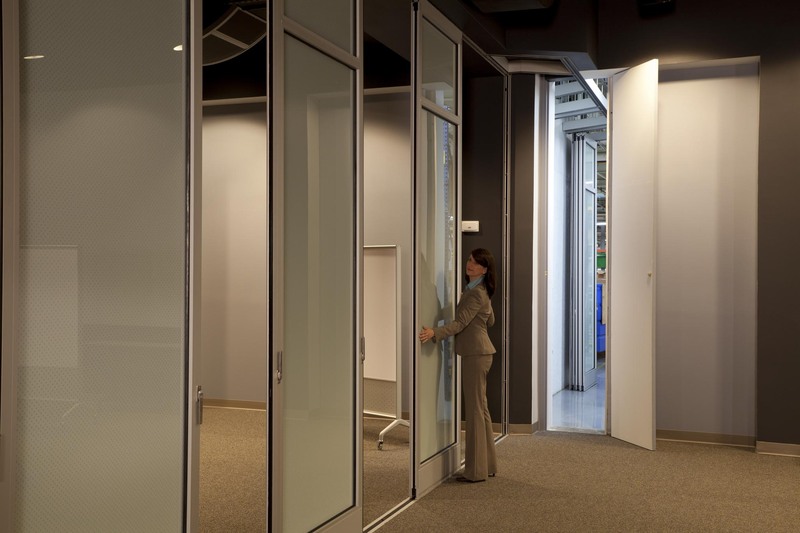 To achieve these competing goals, Snap-on worked with the design team at Butterfield, Rudie & Seitz Architects of Racine, Wisconsin, to develop a wall system that met their needs for the unique space. 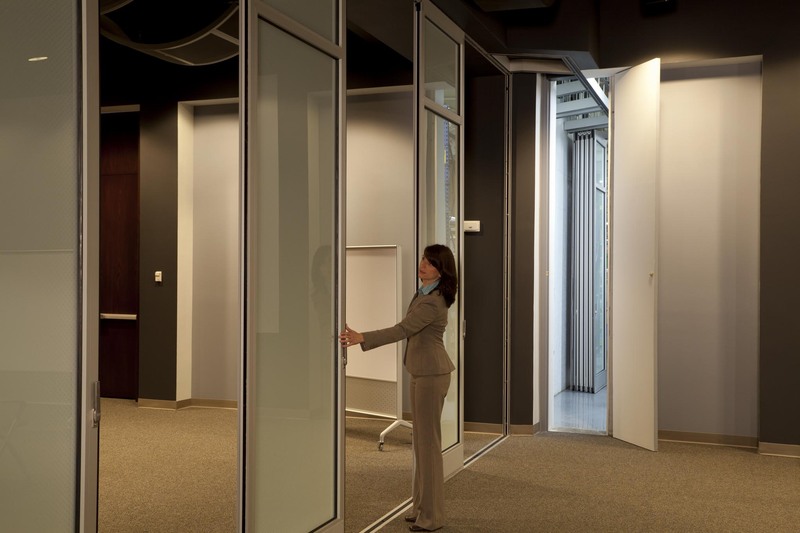 NanaWall’s Single Track Sliding System HSW60 – an aluminum-framed system with open corners – allowed the team at Butterfield, Rudie & Seitz to create a space that changes from fully open to private in seconds. Yet, Rudie emphasizes that the service provided by NanaWall was just as valuable as the well-engineered product. 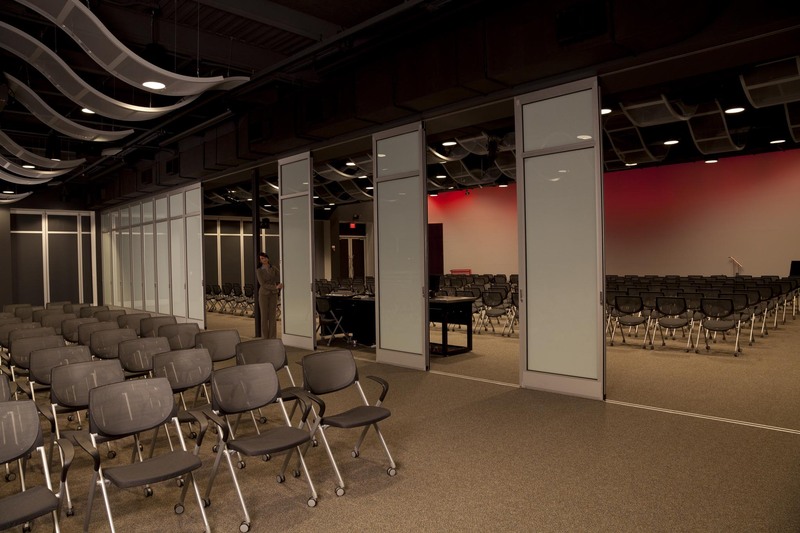 “The team at NanaWall worked with us throughout the design process to help us develop an opaque, sound-deadening glazing system that afforded the privacy we needed, yet still looked fantastic,” he says. The 30-panel system is a successful design solution for Snap-on, too. 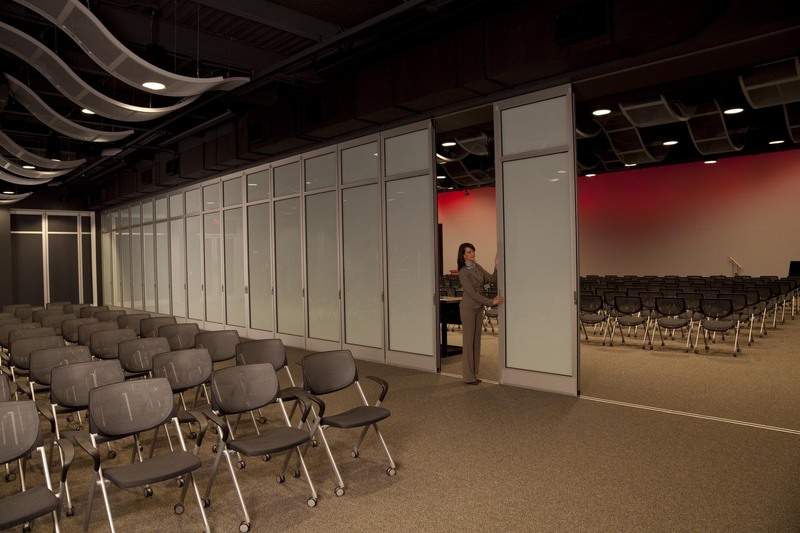 The 12-foot glazed panels with a swinging door feature give this high-visibility area increased functionality and flexibility. If desired, almost every sliding panel in the closed position can be converted and used as a single-acting swing panel, too. 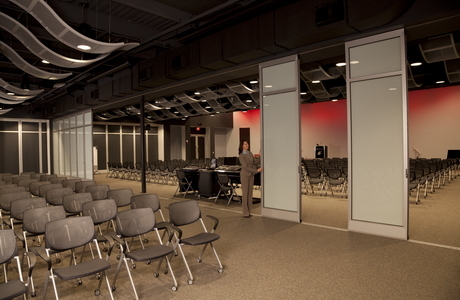 A pair of incorporated swing panels allows the possibility that either panel can be opened first. 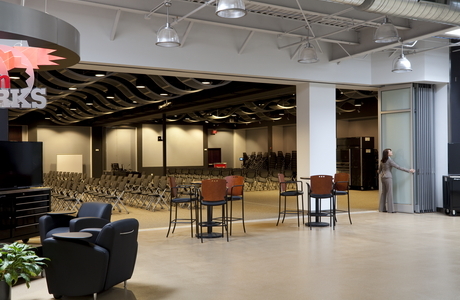 Swing panels can open inward or outward; the integral entrance doors were engineered for normal commercial traffic based on independent testing to a half million opening and closing cycles per the standard AAMA 920. Further, NanaWall’s multiple stacking options made the HSW60 system even more appealing for Snap-on. 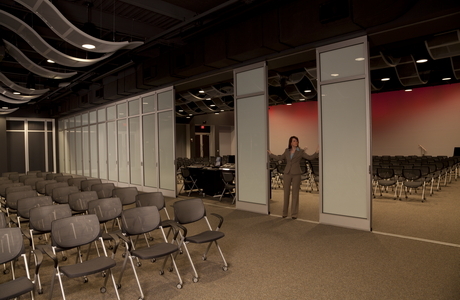 The sliding panels can be completely out of sight when not in use. The tracks can be laid out beyond the frame in a variety of configurations, and the stacking bays positioned anywhere along the track. 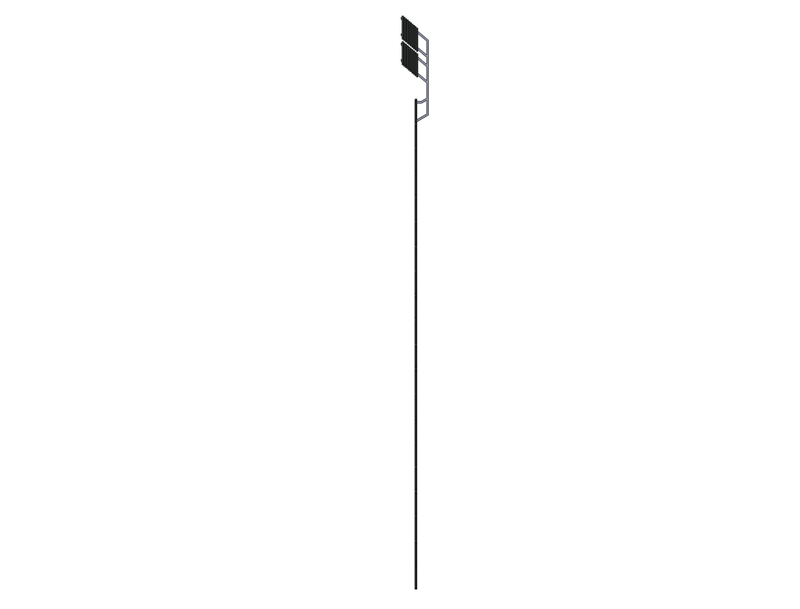 The two-carrier suspension system permits the use of track with right-angle turns and segmented curves, for unique design options for space set-up and remote storage. NanaWall HSW60 entrance doors have been engineered for normal traffic and have been tested to a million opening and closing cycles. 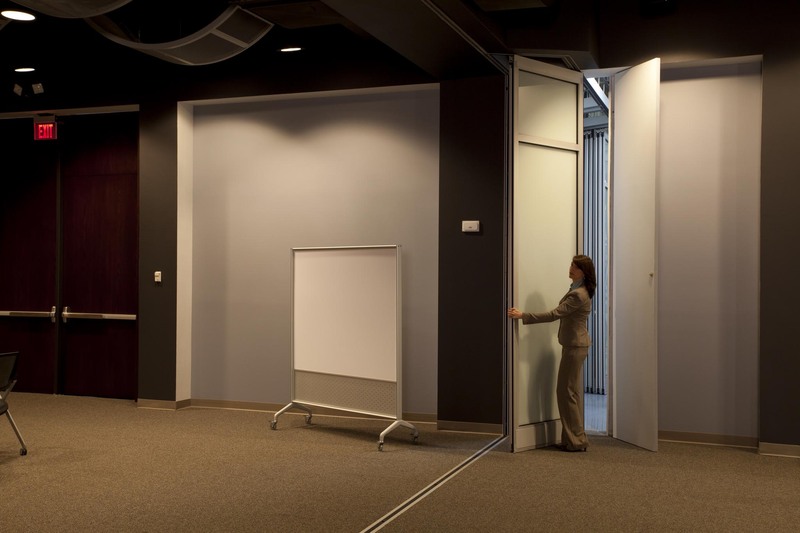 Conversion from swing door to a sliding panel is easy, according to the project team. 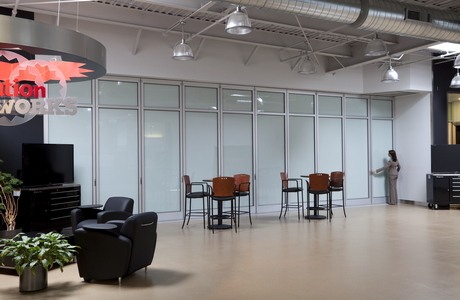 Aesthetically, the system features European styling and handsome, sleek lines that allow glass areas to be maximized. 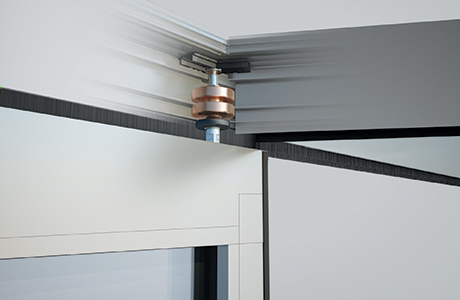 All sliding and locking hardware is integrated into the profiles for a clean, harmonious look.